Which brands produce real free range eggs and pork? Which Free Range Certification actually means the animals are free range? Most independent certification standards are based on animal welfare alone and they include RSPCA Approved and Humane Choice. While Humane Choice is applied to free range operations, the same is not always so for the RSPCA label. 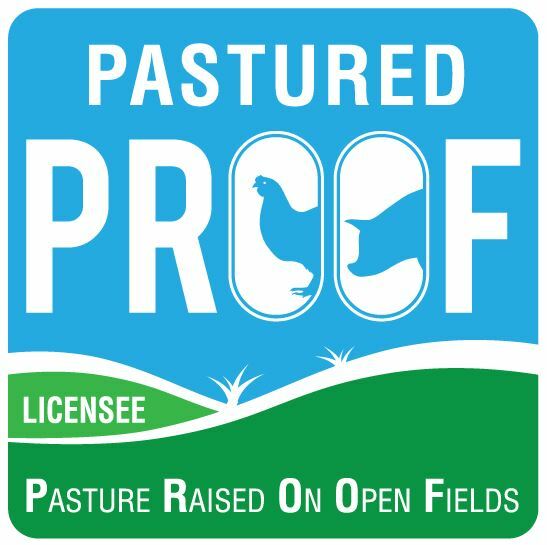 PROOF is a pastured free range certification that encompasses animal welfare, management of the farm environment and support for the farmer. The focus of PROOF is ensuring that the animals do spend the majority of their day outdoors and on pasture with low stocking rates and small flock sizes. The paw of approval is an animal welfare only program. The RSPCA Approved system accredits egg farms to RSPCA standards. Barn laid eggs can be RSPCA Approved, therefore not all RSPCA Approved farms allow hens access to an outdoor area. RSPCA also accredits 'bred free range' or 'outdoor bred raised on straw' pork production systems that are not true free range. Look for a stocking density of 1500 or less for hens and the words free range on the labels. It is not always possible to research the farms yourself as RSPCA does not require that the brands they promote disclose the source of their animals. This is an egg industry owned certification scheme and the one you are most likely to find on eggs in the major supermarkets. It can be applied to caged, barn or free range eggs. Australian Egg Corporation endorse the new free range information standard of 10,000 hens per hectare. This is a pork industry owned certification scheme and the one that you will most likely find on pork in the major supermarkets. The standards are a little hard for the everyday person to follow but the scheme does require pigs have access to the outdoors but there is no limit to stocking densities. If it is important to you that the food you buy was raised ethically and that the animals spent their days grazing on pasture in a healthy farm environment, you really do need to ask for proof. Find a certification that meets your expectations for free range. If your expectations are high, we suggest you stop looking for free range and seek out pastured eggs, pork and chicken. Below you will find listing for our PROOF Licensees and Members. Look at their websites to find where their pastured eggs, pork, chicken, beef and lamb are sold.